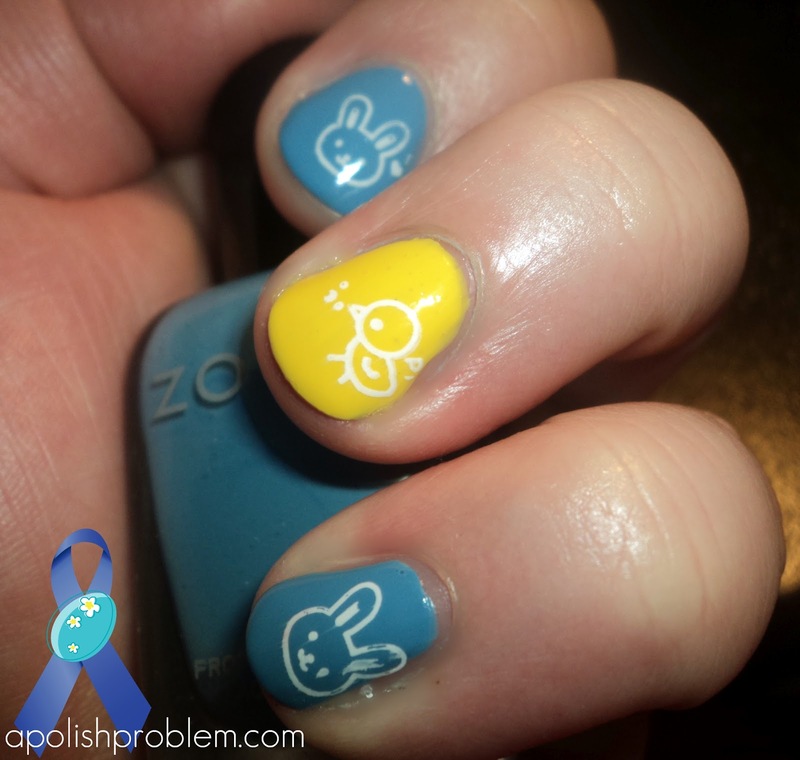 A Polish Problem: 30 Days of Blues for Autism Awareness - Happy Easter! 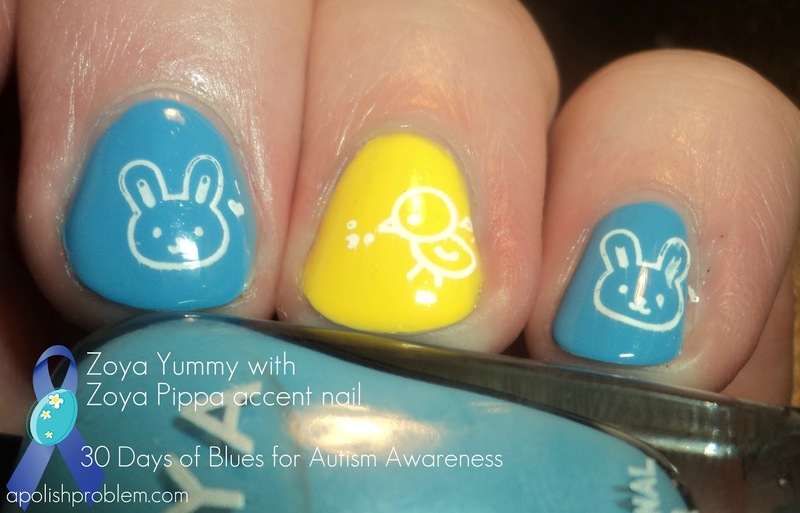 30 Days of Blues for Autism Awareness - Happy Easter! This is 2 coats of Zoya Yummy (a medium blue creme) and 3 coats of Zoya Pippa (a bright yellow creme) on my ring fingers and my thumbs (which you can't see). I can't get enough of Zoyas lately. I also applied the bunny and chick stamps on Konad plate s10 using Konad White Special Polish. Hope you all have a wonderful Easter and thank you so much for reading my "30 Days of Blues" posts. This is so adorable! I just recently got my first Zoyas and I love them! So easy to apply, great shiny finish, and long lasting! Happy Easter to you and your family! Thank you. Zoyas are fabulous, and they are probably my favorite brand ATM. They have the best formula out there. Thank you. Happy Easter to you as well. i love it!! the bunnies and chicks are adorable! !